When was the last time that you were on a webinar that was interesting and engaging? Can you remember what the presenter’s message was? If they were interesting and engaging, you probably remembered more information about the webinar than most others. For the most part, webinars are prepared for an audience that will participate online, and there will not be an audience to “engage with”. By using some of the same techniques that motivational speakers employ, you will be able to facilitate better webinars. Here are five ways to make your webinars more engaging. I see many facilitators speak to bullets on a computer screen. I have done it. Slide after slide, there are bullets, charts, and then more bullets. As a facilitator, we feel that we have to keep the audience’s attention. The thought is that by using bullets and charts, you will be able to increase attention, but it actually lowers it. Most times, the facilitator is reading each bullet point in the deck! I use GoToWebinar to facilitate my presentations. It allows me to see who is attentive and who is not paying attention, or maybe who is multitasking. I have found that a lot of people are not attentive! It is easy to get into a mindset that you are speaking to one person or one computer. Most times, the audience is muted. This provides the feeling that you are not speaking to a larger group, when there may actually be a large number of attendees. You need to make each person feel as though the content is directed at them. To help make the audience feel like they are part of the conversation, you need to pretend that you are speaking in person, in front of a group of people. Put some objects in front of you, on the desk or table. You can then address the objects as if they are people. Make eye contact with them as you speak. This will help you pause between sentences, allowing the audience to absorb and process the previous statement. It will make the conversation more meaningful. It will also help you become more dynamic. It may feel strange at first, but it will help you facilitate a better webinar. As an added bonus, by using “eye contact”, you will be able to eliminate filler words such as um, and, and so. This happens because you create natural pauses when shifting eye contact from one object to another. This allows you to gather your thoughts. Try it! Many people register for webinars and do not attend the live broadcast. They end up waiting for the recording and listen later on. A lot of people do this on purpose since they are busy. Webinar slides are created more for archival reasons rather than the live audience. Why is that? Other than posting on slideshare.com, there is no reason that the audible message cannot be consumed in a recording, at a later date. Bullets make a presentation feel like each line item needs to be covered. Try starting out by making a shift to using images with supporting text. Locate an image that reinforces the point of the item at hand. Then add phrases or text without bullets. You will still be able to get the point across. Do not fill the slide with a lot of text. Most importantly, you should be using your voice and message the content memorable! People do not remember what they read. They will remember experiences, so make your content and message memorable. To do this, you can add stories to your presentation. People will remember stories. I have had people approach me and tell me that they remembered a presentation or article they read because of a story I shared. If you need to, you can use line items or bullets, but makes sure they are not the most prominent items in your presentation. The text should support the message, not the other way around. There is nothing worse than a monotone speaker. I have experienced it when hearing someone speak in person as well as on a webinar. It makes it hard to stay tuned into the presentation and you either start to daydream or multitask. I am not sure which is worse! 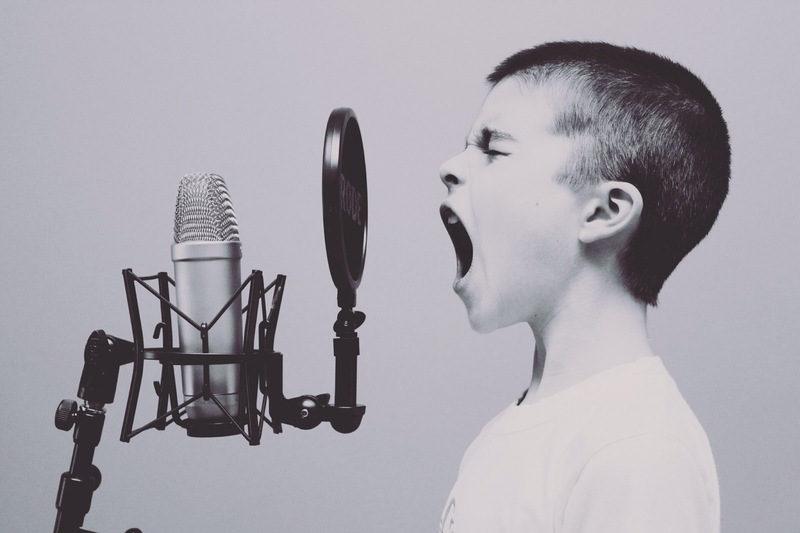 By using a dynamic voice, you will be able to keep your audience attentive. The changes allow people to understand and absorb the content in a more pleasing way. If the message is exciting, get excited! If there is a surprise in your message, start out talking slowly, then hit them at the end with a louder voice! You can also use an “altered” voice when telling a story. When you are quoting someone or using someone else’s thoughts or words, change your voice to add variety to your presentation. This will go over well with your audience. Try it, and you will find that they will like it. For your webinar to be effective and memorable, you need effective book ends. How you start and finish your webinar will be the difference between average and awesome. You want to start off with a goal, problem or idea for the audience. Get them thinking about what that is so that they will tune in for the whole presentation. If set up correctly, the audience will want to know how they can achieve the goal, solve the problem or learn about the idea. Make sure that you restate your opening bookend a few times throughout the webinar, so you solidify it in your audience’s mind. Next, you need to provide the information and direction to help them succeed. Restate the opening bookend when closing out, but follow it immediately with the solution. When closing out your webinar, you should propose a challenge or suggest a change that the attendees need to make to be able to meet the goal, solve the problem, or implement an idea. Give them the solution paired with the challenge or change. What can they do now that they are armed with the message that you provided? By using bookends you will be able to set up and close out your webinar successfully like many professional speakers are able to facilitate a great presentation on stage. When attending a conference, I notice that almost all the speaking sessions end on a question and answer session. Webinars are the same. The thought is that you want to make sure that your audience understood your content. If your message was on point, and you used the aforementioned tips, you should be able to effectively reduce the number of questions you attendees will have. There will always be a few. There are also times where the content itself tends to warrant more questions. What you can do is open the floor for questions before you provide your closing bookend, which is your challenge or change. You will need to be careful because if there are numerous questions, you will never get to your close! When facilitating your next webinar, try this out and limit the questions to a few. Then go to your closing and you can always follow up with additional questions later, or offline. By using virtual eye contact, fewer bullets, bookends, and never closing on Q&A, you will be able to deliver a better webinar to a more engaged audience. If you treat your webinar audience like you are speaking in person, you will be more interesting, engaging, dynamic, and memorable! Have any more ideas on how to run a successful webinar? Let me know In in the comments.